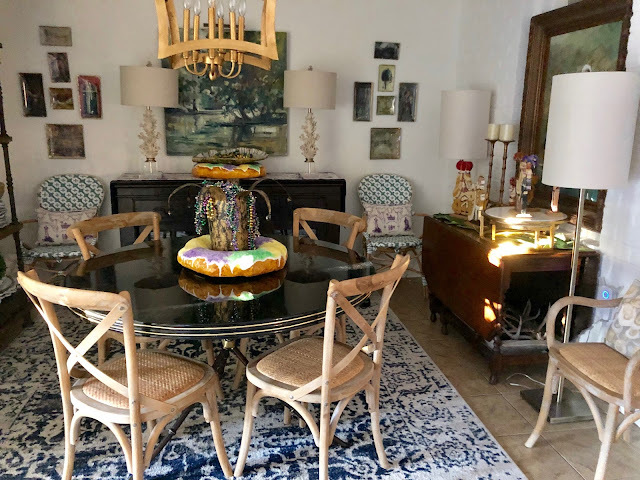 Of course, the dining room also features touches of the Carnival season. 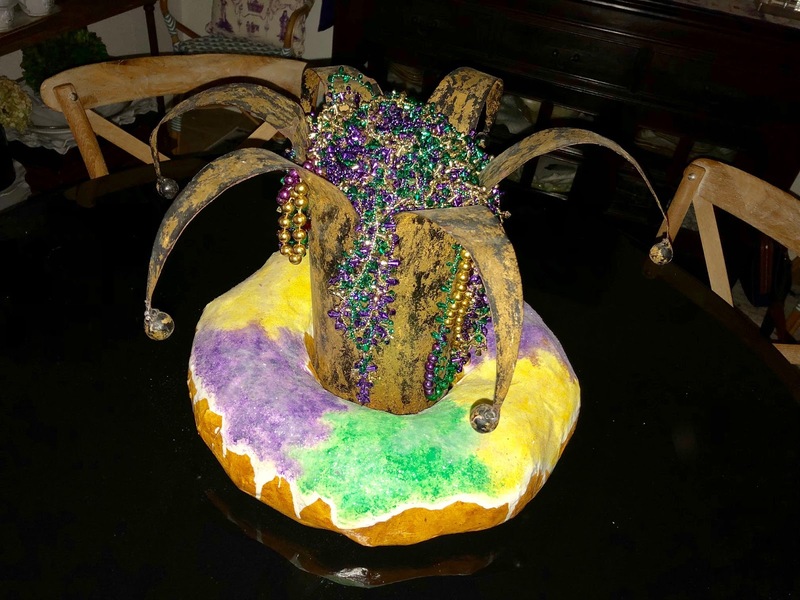 On the table is an wonderful crown vase filled with beads surrounded by a papier mache' king cake custom made by local artist Gwen Markovich of Dats Awtsy. 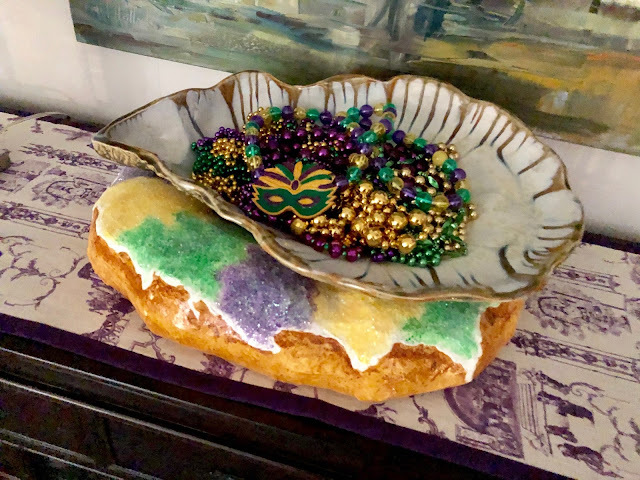 I placed another papier mache' oval king cake on the buffet topped with an oyster bowl filled with various beads in purple, green, and gold. 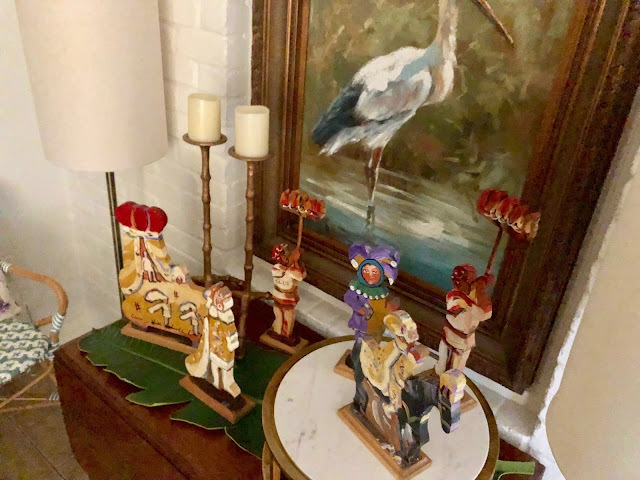 My collection of Lorraine Gendron wooden figures is on the drop leaf table. 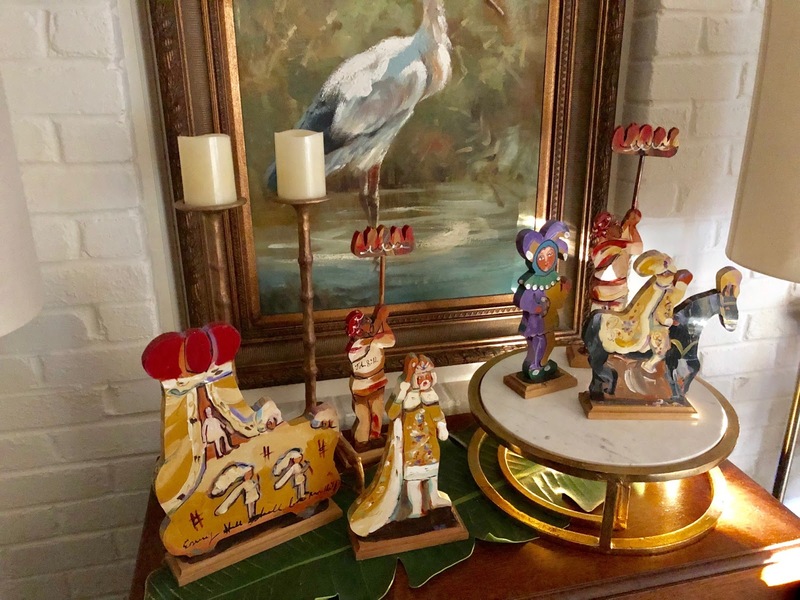 I adore her creations and have collected these for years since moving back to NOLA. 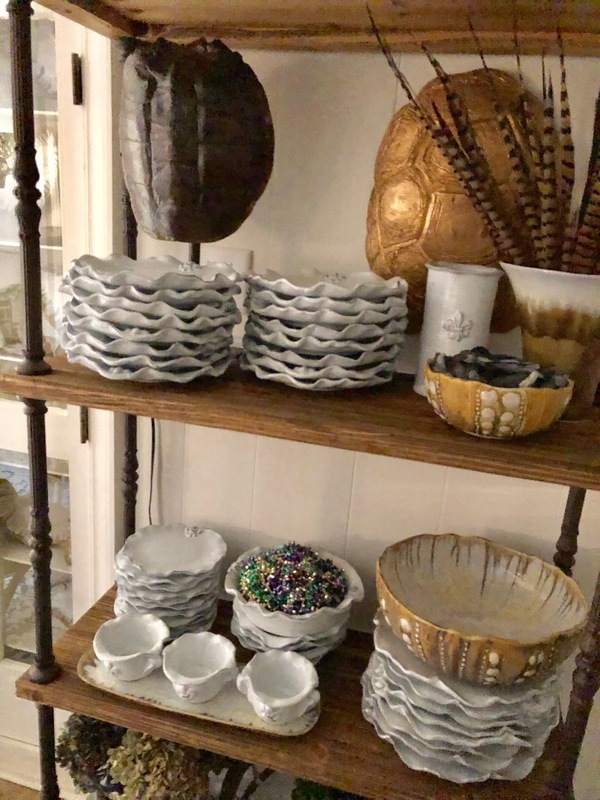 More beads are located on the shelves. 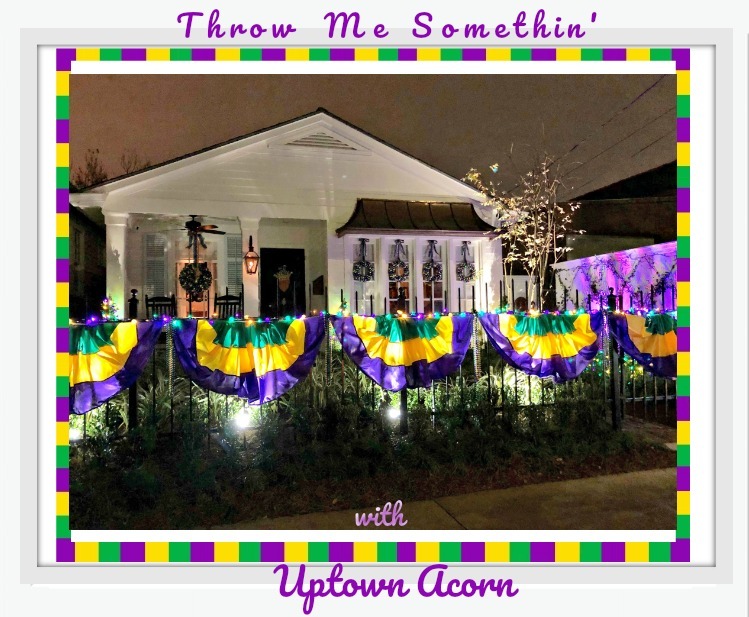 Mardi Gras in the Dining Room, y'all! What a delightful centerpiece! That crown vase filled with those colorful beads surrounded by the papier mache' king cake is just awesome! And custom made for you, that is really special. It is a special piece. Looks fabulous Ron! Love the beads in the vase with your kind cake center piece.